C6S4CD12 Sitting here writing this I’m guessing that this will be my shortest review, I usually aim at about 400 to 500 words but guessing that this will be a lot shorter. Why? Because as much as I listen to this album it just washes over me and I have listened to it 4 times this week and usually I build a picture in my head, then draw a picture (I’m a fan of mind mapping) of what I might write about prior to writing. Nothing jumps out with regard to this album other than to say it is beautifully packaged! Aside the book like CD case here are my thoughts. 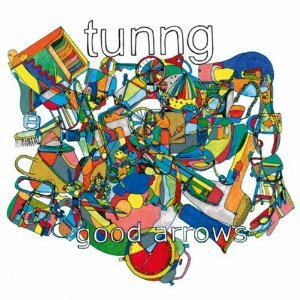 Released in 2007 Tunng were doing Nu-Folk before Nu-folk was invented, prior to Mumford & Sons, Midlake, and Laura Marling stole the headlines Tunng were releasing music inspired by folk but with a modern twist. The difference between Tunng and the bands mentioned is that whilst Mumford and Sons took folk music and grabbed it by the neck and pulled it into 2011, Tunng took bits of 2011 (lyrical content) and married it with folk sensibilities from the 1970s and I’m not sure that works. Some of the songs here are real finger in the ear folk music, but with lyrics about Jeremy Kyle. The album isn’t offensive but it doesn’t challenge you in anyway all the tracks have one word titles which is about the most interesting thing I can say about them. They sound at times like Crosby, Still ,Nash and Young but just not as good. I think when the review is about the packaging that tells us all we need to know..
My Year In Gigs......The First Six Months.